Way back last summer, the people at Tasty Bite approached us about trying out their vegan options and doing a review. They were kind enough to send us a care package with six packages to try. Unfortunately, we received the package right in the middle of our big move and along with so many other things, they were packed away and forgotten about. Well, we finally got our act together this past week and broke out the samples. To make it more fun we invited my parents over to experience the different taste with us. It was a feeding frenzy. In case you aren’t familiar with Tasty Bite, they have been around in 1995 and is still today made in India. They have both traditional Indian and Pan-Asian style food. The food comes prepared in sealed pouches and can be eaten straight out of the bag unheated, or reheated in boiling water or microwave. We heated all of ours in boiling water. They have a long shelf life and as my dad pointed out, they would be great for his back packing trips. They offer over twenty vegan options. Check them all out here. 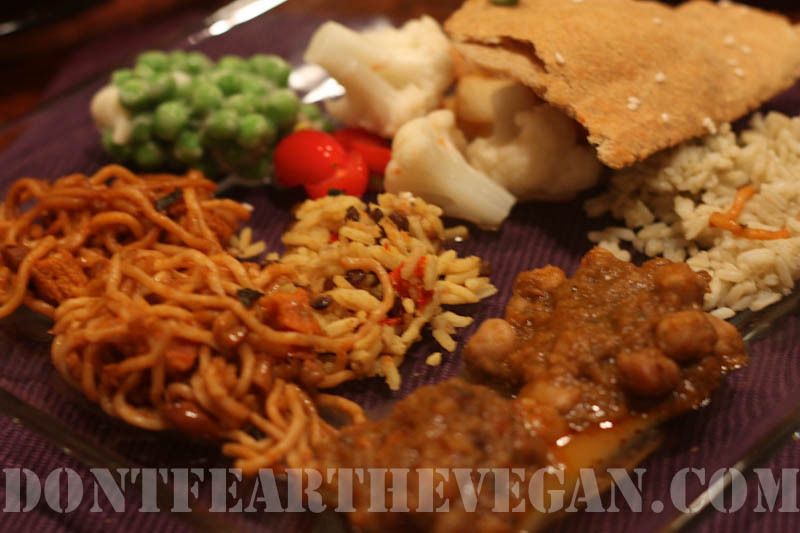 Their site also offers recipes, many which are naturally vegan or could easily be made vegan. Check those out here. The thing I liked best about tasting them was the fact that we all had a different favorite. Well, almost. Hubby and my dad both liked the Punjab Eggplant which I found especially odd because hubby HATES eggplant. My mom couldn’t decide between the Kung Pao or the Ginger Lentil Rice. The little vegan could only handle the spice level of the Ginger Lentil Rice and the Thai Lime rice and her favorite of the two was the Ginger Lentil Rice. My favorite was the Channa Masala. We all agreed that, though the Thai Lime Rice wasn’t bad, it was definitely the only one that didn’t stand well on its own. It needed something to go with it. Our overall take on the Tasty Bite products was a big LIKE. Especially for someone like me who loves Indian food, but isn’t as skilled in the preparation of it as Vegan Richa. Even if you are a master, I feel these would be great to keep in the cupboard when in need of a quick meal. They would also be great to travel with when heading to those places where you are unfamiliar with the vegan options. Plus, don’t forget as my dad noticed, they would be great for outdoor adventures. Check out the Gluten-free Naan I made to go with dinner here. 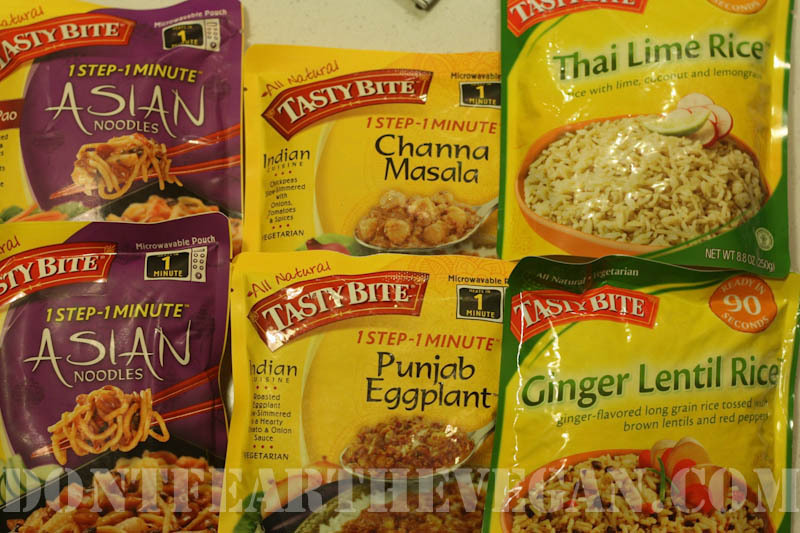 Gallery | This entry was posted in Random info and tagged Indian, Pan-asian, Tasty Bites, vegan. Bookmark the permalink.